There are frequently discounts accessible to senior citizen and small kids. Find out by contacting your nearest pool in Wakefield. 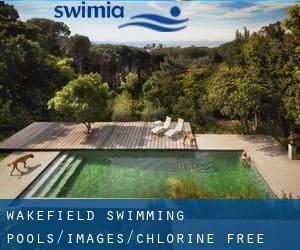 Swimia.com has probably the most up-to-date database about Chlorine Free Pools in Wakefield. Swimia.com needs your feedback to ensure all the facts is valid, given that maybe this pool is no longer open towards the public. Most in the Swimming Pools present both open lanes for independent swimming and also guided activities like water aerobics or aquabike. For Wakefield and its vicinity, we're showing you all the registered Chlorine Free Pools in Wakefield, some of them have no GPS coordinates and you're not choosing them at the map. The most beneficial pools to swim are certainly indoor olympic pools. Holding an estimated population of 37.713, Castleford is among the most important cities in Wakefield. Check all of the Swimming Pool in Castleford and its surrounding region. Whereas Horbury is one of the six most populous cities in Wakefield with nearly 10.225 residents, you shouldn't miss that one if you're going to Wakefield. Without a shadow of a doubt, swimming in Pontefract will be the perfect way to unwind immediately after work. Take a couple of minutes to browse Swimia's catalog to find a Swimming Pool in Pontefract. Swimming is a great idea to keep your body active for the duration of your visit to Wakefield (Wakefield), or even in case you are a local. 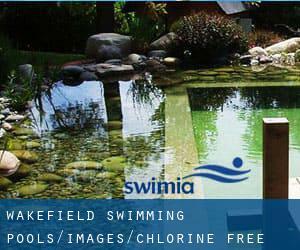 Swimia helps you to discover your closest Swimming Pool in Wakefield. Updated on 2019 College Road , Truro , England , UNITED KINGDOM (Postal Code: TR1 3XX). Swimmers like you reported 25 meters x 13.5 meters, 6 lanes, 1 meters - 1.8 meters depth, 1 meters - 1.8 meters depth, Non-Chlorine Sanitized, Indoors. Phone number and email address are number for this Pool. Unit 4 , The Printworks , Withy Grove , City Centre , Manchester , England , UNITED KINGDOM (Postal Code: M 4 2BS). Among all of the activities supplied by the center, if you are keen on swimming you will enjoy 20 meters x 8 meters, Non-Chlorine Sanitized, Indoors. Just in case you need to get in touch with this Pool before dropping by, we only know the phone number. Updated on 2019 21A Piccadilly , Piccadilly , London - Central , England , UNITED KINGDOM (Postal Code: W 1J 0BH). Among all the activities offered by the center, for anybody who is considering swimming you can expect to take pleasure in 50 feet x 35 feet, 1 meters - 2 meters depth, 1 meters - 2 meters depth, Non-Chlorine Sanitized, Indoors. Just in case you would like to contact this Pool before dropping by, we only know the phone number. Henley Road , Marlow - on - Thames , England , UNITED KINGDOM (Postal Code: SL7 2EY). Among all the activities provided by the center, for anybody who is thinking about swimming you might appreciate 20 meters x 10 meters, Non-Chlorine Sanitized, Indoors. Just in case you need to make contact with this Pool prior to dropping by, we only know the phone number. Oxford Business Park North , Garsington Road , Cowley , Oxford , England , UNITED KINGDOM (Postal Code: OX4 2JY). Among all the activities offered by the center, should you be interested in swimming you are going to enjoy 25 meters x 12 meters, Non-Chlorine Sanitized, Indoors. Just in case you want to contact this Pool before dropping by, we only know the phone number. 1a Hall Lane , Hendon , London - North , England , UNITED KINGDOM (Postal Code: NW 4 4TJ). Swimmers like you reported 25 meters x 12 meters, 6 lanes, 1.2 meters uniform depth, 1.2 meters uniform depth, Non-Chlorine Sanitized, Indoors. Phone number and email address are number for this Swimming Pool. Chelsea Village , Fulham Road , London - Central , England , UNITED KINGDOM (Postal Code: SW 6 1HS). Among all of the activities offered by the center, if you're interested in swimming you will delight in 25 meters x 10 meters, 4 lanes, 1.4 meters uniform depth, 1.4 meters uniform depth, Non-Chlorine Sanitized, Indoors. Just in case you wish to make contact with this Swimming Pool prior to dropping by, we only know the phone number. Barton Dene , Marlborough , England , UNITED KINGDOM (Postal Code: SN8 1PB). Among all of the activities offered by the center, if you are enthusiastic about swimming you can expect to take pleasure in 25 meters x 9 meters, 4 lanes, Non-Chlorine Sanitized, Indoors. If you have to make contact with this Pool, e-mail address and phone number are both number. Updated on 2019 Tetbury Road , Cirencester , England , UNITED KINGDOM (Postal Code: GL7 1US). This sports center gives 25 meters, 6 lanes, Non-Chlorine Sanitized, Indoors. Contact info for this Pool such as phone number and e-mail address are number. Updated on 2019 Brunswick Street , Knutton , Newcastle - under - Lyme , England , UNITED KINGDOM (Postal Code: ST5 1HG). Among all of the activities offered by the center, if you are interested in swimming you may enjoy 25 meters, 8 lanes, 1.1 meters - 2 meters depth, 1.1 meters - 2 meters depth, Non-Chlorine Sanitized, Indoors. If you need to get in touch with this Swimming Pool, e-mail address and phone number are both number.